The Session Initiation Protocol (SIP) is a communications protocol for signalling and controlling multimedia communication session such as voice and video calls. Some of well-known applications of SIP include Internet telephony and instant messaging. 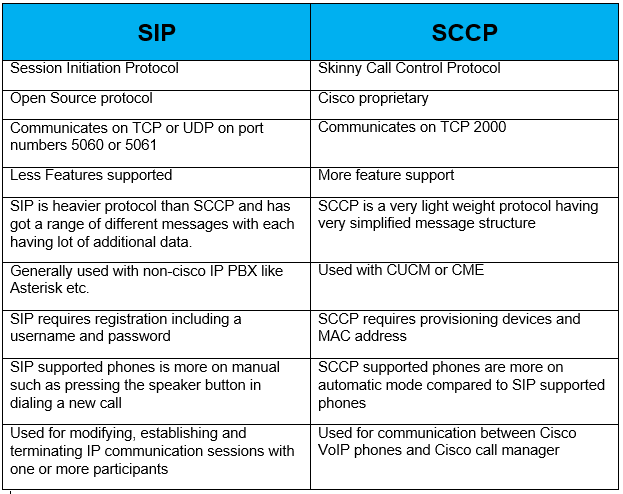 Skinny Client Control Protocol (SCCP) is proprietary control and communication protocol originally developed by Selsius Systems and later taken over by Cisco Systems. It is a lightweight IP-Based protocol for Signalling with CUCM and CME for Cisco phones session signalling. Both protocols use UDP as the transport medium for their media path, because it is very good for real time traffic like VOIP traffic. 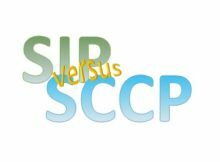 SIP is used for establishing, modifying, and terminating IP based communication sessions with one or more participants whereas SCCP is a Cisco proprietary protocol which is used for communication between Cisco Call Manager and Cisco VOIP phones.